Architecture has an ambiguous relationship to money and “research.” As the Trump administration maneuvers to defund the National Endowment for the Arts, what was already an issue of substantial academic interest is now a question of political survival. 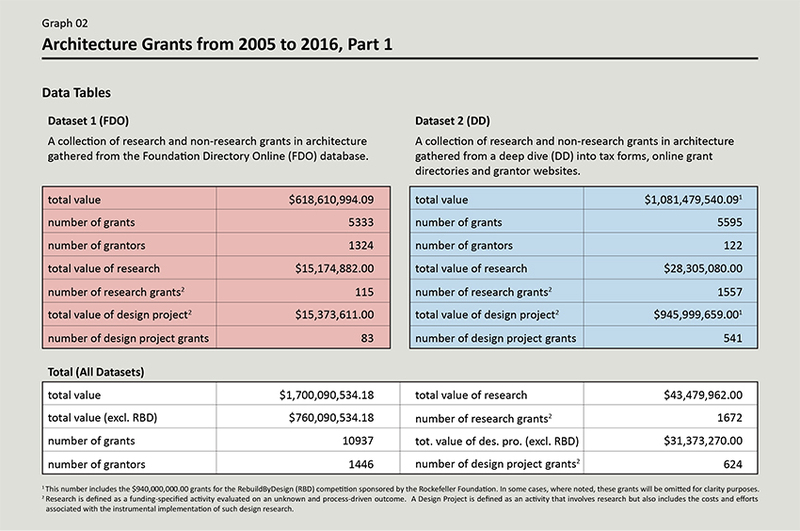 Given this potential loss, and the American Institute of Architects’ infamous praise of a problematic infrastructure bill that may or may not include money for architects, we wondered: What does the United States system of research and prize funding in architecture look like? What do architects stand to lose if available grants are reduced, and what role does architectural research have in shaping the issues the profession works on? Is there a connection between the profession’s apparent lack of an effective critical disposition and the systems for funding its different modes of research? 1. Grants, as we all know, are generally driven by the interests of the industry as configured by the market, and architectural research makes up a small portion of that total funding. So while demonstrating this would not necessarily be newsworthy, uncovering which topics in architecture were funded and by whom would be. What connection is there between source, topic, and recipient? Wasn’t it likely that “critical” research topics—those that investigate architecture’s role in social change—would be overshadowed by research with more explicit commercial ends in sight? 3. And while we are cynical about capitalist-driven funding, each one of us needs to navigate this reality if we wish to produce critical work. In a context where state funding for politically-risky research is almost non-existent (unlike in other countries with more solid rights to the knowledge commons), this research is theoretically critical and strategically informative. Anatomizing the nebulous system of philanthropic grant funding could provide a cognitive map of the material conditions and constraints for theorizing a more critical architecture—a map for surviving, resisting or changing the system. We soon discovered that this project was more complicated than we had imagined. To start, IRS 990 tax forms—the only means of public accountability, designed to give an informational overview of an organization’s activities—are riddled with troubling inconsistencies across nonprofit organizations and time. (Not to mention, these documents often serve as marketing tools to highlight the accomplishments and financial health of an organization).1 The first inconsistency is based on type: not all nonprofits are created equal. While public charities and private foundations are both 501(c)(3) organizations, because they differ primarily in the way they are funded, the IRS requires different degrees of transparency. Private foundations (organizations that are run by and funded by a small set of individuals or families), for example, are required to itemize their granting programs and exercise what is called “expenditure responsibility;” public charities (organizations that are primarily funded by a large population of public donors) and trade associations on the other hand, do not.2 For nonprofits, the IRS does not require either the review of grantee reports or that funding purposes be included in 990 tax forms—it only vaguely recommends that proper assurances be made on the foundations’ part to ensure that grantees use the funds as intended. This alone should be a cause for alarm since it limits the extent to which the public is made aware of these expenses. However, the implementation of this and the variations of documentation it produces introduce other inconsistencies that are, at best, loosely defined and, in practice, confusing. The Rockefeller Foundation identifies nonprofit and for-profit grantees and includes verifiable descriptions and addresses that are easy to follow. Alternatively, the Society of Architectural Historians identifies how much money is allocated toward fellowships and prizes but not the amounts awarded to each recipient or research project. In various other cases, organizations omit private individuals entirely or redact names and addresses on their tax forms. Both the Autodesk Foundation and the Architecture League of New York, along with many other organizations, do not typically itemize their granting at all—leaving their expenses a relative mystery. We have not been able to find tax documents online for the Graham Foundation for Advanced Studies in the Fine Arts, one of the most important architectural funding bodies, and for reasons we do not know, the National Center for Charitable Statistics doesn’t even list them in their index.3 The difficulty of cross-referencing inconsistent amounts and types of information across different categories of grant-givers—public charities, private foundations, social welfare organizations, and business/trade organizations—makes capturing consistent and complete data nearly impossible. While there are over 1.5 million nonprofit organizations in the United States, with countless available grants and eligible grantseekers, there aren’t many comprehensive databases with information (financial or grant-related) on grant-giving institutions.4 The opacity and inaccessibility of this information forced us to sift through countless IRS documents. While the Foundation Center’s Foundation Directory Online (FDO) is, by far, the most extensive database on grant-funding institutions and nonprofits, it is also limited in its scope and, because it relies on information from the IRS, suffers from many of the same inconsistencies.5 One of the biggest drawbacks to the FDO is that, although it has tracked and cataloged approximately 5000 grants in architecture over the last ten years (all of which are included in our study, but not all of which are necessarily research), it excludes grants to private entities or individuals—by focusing primarily on grants between nonprofit organizations, it suffers from a massive information gap in funding. It doesn’t account for architects doing research. The database offers charts and graphs of information related to trends and yearly totals (based on a special dataset called the FC1000), which includes only the top 1000 foundations in the US that make up approximately 50 percent of all grant spending. This leaves 50 percent of all nonprofit funding unaccounted for and not represented in trend lines and analytics. Sifting through the IRS documents of millions of nonprofits in addition to the limited record of grants compiled by the Foundation Directory Online wouldn’t provide a clear enough picture of architectural research funding. These limitations prompted us to search for alternative methods of grant collection. We began to dive deeply into each organization on a case-by-case basis in order to gather grants and prizes primarily for architectural professionals and private entities. Utilizing grant search tools such as PIVOT and SPIN, which are specifically designed for grantseekers and not for philanthropic research, we started building a pool of architectural grants and applicable institutions.6 Although limited by the scope of these platforms, we had no suitable alternative option to begin our research. Via keyword searches, we siphoned all of the matching irrelevant search results (the word “architecture” is used in the biological and computer science fields) to build an initial list of funding.7 The process for cataloguing grants in architecture was time-consuming, manual, and inconsistent. We were not only dependent on each institution’s willingness to provide information about their own income and funding expenses but also limited by the loose legal requirements established by the IRS. Foundations such as MacArthur Foundation offer detailed grant information on their websites, while others that make substantial contributions in architecture, such as the Jaffe Family Foundation, don’t even have websites. To date, we have tracked approximately 10,000 grants in architecture, comprised of about 2,000 research grants and 8,000 non-research grants, given out by organizations registered in the US from the last ten years—approximately half of the grants from 120 organizations came from our own deep-dive investigation. 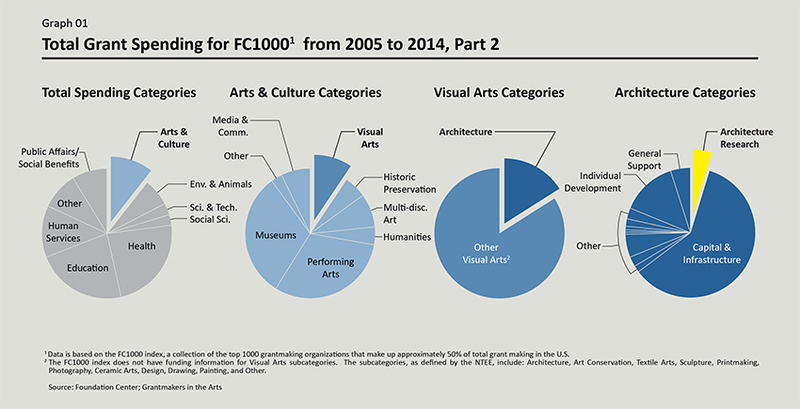 Nonprofit spending in Architecture in relation to the Visual Arts, Arts & Culture; and Total spending, 2005-2014. Courtesy of The Architecture Lobby. Courtesy of The Architecture Lobby. The second scale of graphs and tables describe the two datasets we gathered: grants from the Foundation Directory Online (FDO) and grants from our deep-dive analysis (DD). It was important to keep this information discrete—while the FDO is a random sampling of grants over the past ten years, the DD is a focused index of research grants and prizes allocated to professionals. Combining these into a single dataset would not produce a sampling as complete and as general as one might think. On their own, the compositions of each dataset reveal distinctly different perspectives. The grants included in the FDO data indicate that nonprofits represent 87 percent of all grantees, which overemphasizes the transactions between nonprofits. The grants included in the DD data, on the other hand, reflect a relatively even mix of nonprofit, professional, and academic entities. These distinctions exist because each dataset most likely tracks funding at different stages of the spending process. While the FDO data tracks spending between nonprofits to fund specific programs or initiatives, the DD data tracks the grantees that nonprofits fund in order to implement these programs or initiatives. 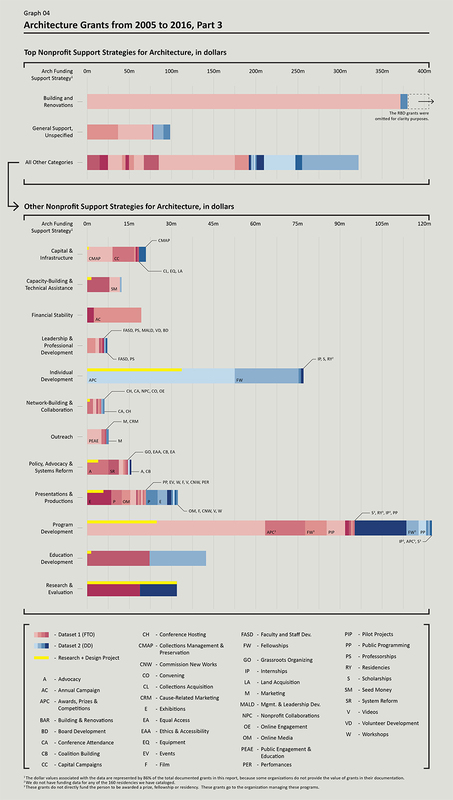 The third scale of graphs begins to identify the various support strategies by which architecture is funded. The “support strategy” classification system was revised in 2012 by the Foundation Center to organize nonprofit spending according to the way in which a program is implemented or supported. We employed it to set a more nuanced standard for classifying funded activities across our two datasets and to identify “architectural research” and “design projects” across these activities. As one might imagine, the definitions are hazy once again. “Research” is not consistently defined across grant-giving organizations (the AIA defines “architectural research” differently than the Graham Foundation) and while research is distinct from “individual development” or “project development” in IRS lingo, both these processes surely involve research.10 Be that as it may, for our purposes, “research” is a funding-specified (as opposed to “unrestricted” or unspecified) activity evaluated not on a proposed outcome but on an unknown and process-driven outcome.11 “Design project,” on the other hand, we understand to mean the activities that involve research but also include the costs and efforts associated with the implementation of that research—the design and execution of an exhibition, publication, or non-speculative design proposal. While both activities may involve architectural research, they serve different purposes and were established under different pretenses. 1. 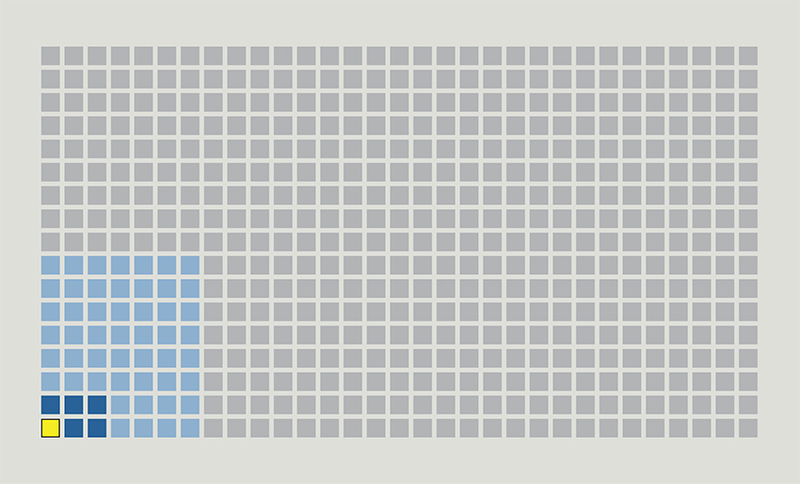 The depressingly small amount of money, relative to the money spent in “art and culture,” that goes to architecture. 2. The predominance of money funds two hegemonic discourses: technological/material innovation and sustainability/green design. Once determined to be “research,” these two categories together capture 60 percent of total available research money. 3. The identity problem that architecture suffers from for not aligning with capitalist notions of innovation or “valuable” (commodifiable) research; and the way in which architecture, a discipline beholden to a wide range of social and cultural values, must contort itself into more narrowly instrumental modes in order to get a bigger piece of the nonprofit pie. 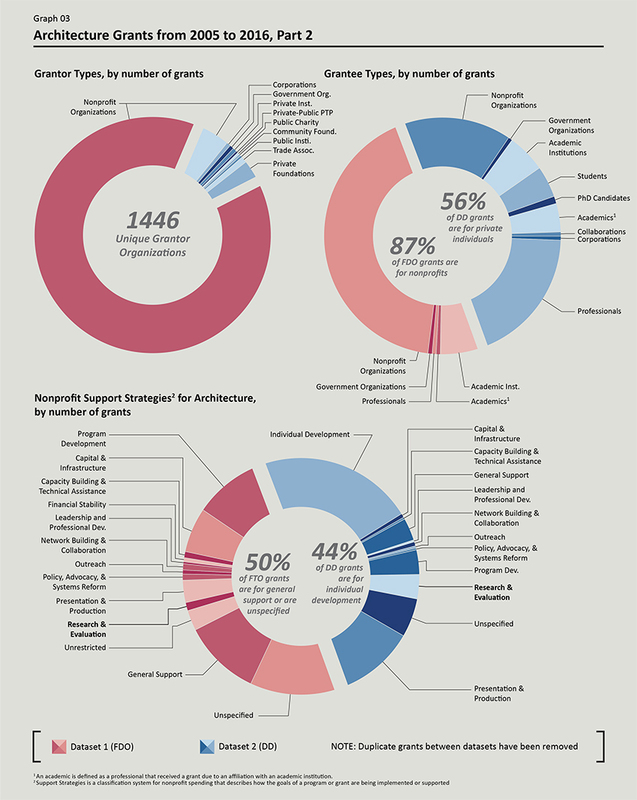 While “architecture” represents approximately 1/530 of all national nonprofit funding, the reality is far more depressing for architects themselves due to the way architecture and research are defined. Based on grants from the FDO alone, “buildings and renovations” constitute over 60 percent of total architecture spending (see graph 4). Looked at across both datasets, which include a more focused selection of architectural research and awards, that number still hovers above 40 percent. It is certainly understandable that buildings and renovations qualify as “architectural services” and are therefore included in the nonprofit architectural funding pot, but this money doesn’t necessarily go to architects. In fact, most of it goes toward construction and implementation. Additionally, over 10 percent of grant funding is either wholly unspecified or goes toward “general support,” which means that while an architecture-affiliated organization may receive funding, it may not be for architectural research carried out by architects. So how much of this money is actually directed toward architects? With more than 50 percent of architecture funding not going to architects, a substantial portion of funding must be called into question—the already small fraction of money that “architecture” originally represented for architects looks even more meager once these types of grants are taken into account. The “research and evaluation” bracket represents less than 5 percent of total architecture funding (see graph 3 and 4). While this is another cause for dismay, it is important to understand that architectural research can and does exist beyond this category. Of the approximately 2,000 research grants we captured (out of the 10,000 broad-range grants), only 23 percent actually falls within research and evaluation. This means that architects are finding funding opportunities for research elsewhere, not from direct or explicit research grants. These alternative opportunities primarily fall under “fellowships,” “scholarships,” “awards, prizes, and competitions,” but also “program development” and “policy, advocacy, and systems reform” (see graphs 4 and 5). The distribution of funding across architectural support strategies, like between “awards, prizes, and competitions” and “fellowships,” demands some closer attention. In number, these two categories make up an equal share of grants. However, fellowships represent a significantly higher percentage of architectural research grants than awards and prizes. And while this is true, awards are much more valuable in terms of the total dollar amount (almost double the value of total fellowship grants). 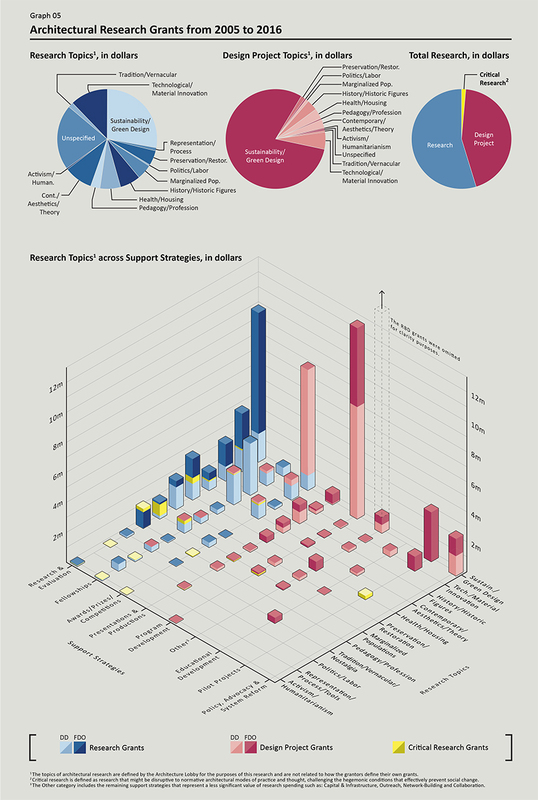 The distribution of research topics between these two funding groups also varies. While fellowship research has a relatively even distribution across all research topics (with an emphasis on “history/historic figures”), awards are granted to a comparatively smaller selection of topics with an emphasis on “sustainability/green design” and “technology/material innovation.” The Lafarge Holcim Foundation, which is a big supporter of sustainable construction initiatives, has patently obvious ties to the concrete industry. This is surely an indicator of what the industry values and how it chooses to recognize “innovative” architectural research with a markedly commercial and instrumental character. Sustainability/green design and technology/material innovation not only dominate the awards category, they also represent 45 percent of total grant spending in architecture. Nearly all funding in “advocacy” and “systems reform” is funneled toward sustainability initiatives. We do not want to ignore the fact these initiatives are important to an essential reconfiguration of architecture’s value away from the aesthetic. At the same time, we cannot underestimate the role of organizations in securing this type of research, such as the Energy Foundation that sends millions of dollars to China to advocate for new green technologies, building codes, and sustainable infrastructures.14 A majority of the “program development” funding, associated with education, public programs, pilot projects, and organization initiatives, is also dominated by design sustainability and planning initiatives (representing 72 percent of funding).15 In addition to representing 45 percent of the total funding in architecture, sustainability/green design and technology/material innovation also represents 60 percent of total research spending, indicating that they not only configure a significant portion of nonprofit funding but are also the dominant topics for innovation and research (see graph 5). History/historic figures also takes up a significant portion (third overall) of research funding—with the largest allocation of money under fellowships—and, excluding design projects, represents a significant number of research support strategies as well. Even though the average value of these grants is relatively low, organizations, like the Kress Foundation and the J. Paul Getty Trust, primarily fund academics to produce historically-based research. Of the approximately 2,000 architecture research grants, the average dollar amount is around $25,708—however, there are massive discrepancies across topics. The average grant value for history/historic figures is approximately $22,000, while for sustainability/green design it reaches a whopping $70,000. With considerable amounts of money going toward broad categories such sustainability, technology, and material innovations, grant-giving organizations have depoliticized the issues in favor of broad market driven topics—leaving very little money for grantseekers and investigations that are openly critical. As a result, what we define as “critical research” only accounts for 5 percent of the total number of research grants and 4 percent of the total research grant spending. The majority of these grants can be traced back to the Graham Foundation, however, the average grant only amounts to $10,000, a significantly inadequate and small number compared to those incentivizing other issues and topics of exploration. It is more and more clear that grantseekers have to frame their research to meet the preferred framing of grant givers. As we try to make sense of why architectural research gets such little funding and why when it does it goes primarily to technology and sustainable design, we must acknowledge certain structural conditions that shape architectural funding. We believe that one of these is the inability of architects to identify their output as anything but objects. As long as we (seemingly) only produce objects, “innovation” is only how “new” technology and “ever-new” software lets us produce those objects (CAD-CAM, robots, BIM, so on). The understanding of architecture as the production of social contexts is not advocated by the discipline, in our academies or by our professional organizations. It should come as no surprise that funders, likewise, overlook this aspect of our work. The problem runs deeper than the more obvious excuse that, as a profession, we generate our own client-supported funding and therefore don’t need nonprofit support. There was, of course, a moment within the profession when we did operate outside client-driven parameters (note, for instance, the work of the Bauhaus regarding prefabrication and affordable housing). This could, in a different political climate, happen again—that is if the profession dismantles its own “professional” identity that promotes the idea of the architect as a passive object-maker and the presumption that we do not/cannot/should not engage in broader social constructions and politically-disruptive disciplinary processes. Moreover, most nonprofits are actually dependent on funding that stems from money secured by market dominance. 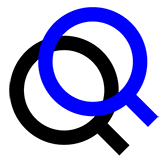 The nonprofit status of a foundation as well as its supported sub-nonprofits provides not only a process for procuring tax exemption (which, in the standard 501(c)3 form, restricts political advocacy), but a “repurposing” of business methods to solve the world’s problems.17 In such a model, the ownership of capital outweighs broader citizen enfranchisement—markets replace politics. To mitigate the current model and reestablish effective public control over the resources for knowledge, power and, wealth, large corporations should pay in taxes what they give their foundation through the opaque channels of the nonprofit complex. In the US—which captures the highest amount of dollars spent (operating expenses and granting) by nonprofits in the world ($400 billion)—the default is the “philanthropic” model because our government, unlike others, does not provide basic social and cultural services.18 Nor does it care to make these matters a true public concern deliberated and adjudicated through political—rather than market—mechanisms. It was, after all, the robber-barons (J.P. Morgan, Andrew Carnegie, Andrew W. Mellon, and John D. Rockefeller) and later Henry Ford who set up the most robust nonprofit foundations, providing an alternate form of “social justice” to stave off class unrest. Critics have long pointed out that the admirable undertakings of nonprofits steer dissent into safe channels, postponing more substantial and necessary structural social changes.19 This is evident even in our research. Work to address the structural issues of our profession such as alternative business models, licensure studies, methods for better working and conveying the value of architecture—research that architects know is a critical necessity—is passed up by grant-giving institutions in favor of broader market-driven topics. “Follow the Money,” which was unfunded, should be a reminder that architectural research that aims to reposition architecture as a more meaningful cultural and social activity is the most fragile endeavor in an already precarious profession. Given adequate funding and resources, the project could go deeper and wider, like investigate trade association and government grants on top of philanthropic institutions. A lack of resources meant the inability to track grants with possible industry partnerships as well as grants that highlight what the government thinks is “good for the country.” When we don’t effectively track grants from trade associations, we not only lose the ability to see what industry thinks is innovative, but we lose the chance to see how private industry might “innocuously” fund seemingly disinterested grants. Funding means the ability to speak to experts in the nonprofit sector, and create more complex, robust, interaction, and reflexive visualizations. Without funding to help build more substantial research, we lack the capacity to change the existing political, professional, and economic structures. But the more we concern ourselves with the fundamental flaws of the profession—learn how to work the game or discard the game altogether—the more optimistic our field looks. Asking critical questions about the kinds of questions the architectural field asks (and is supported to ask) is the only way to democratize and communicate our value to society more broadly, making both our environment and our profession more socially just. 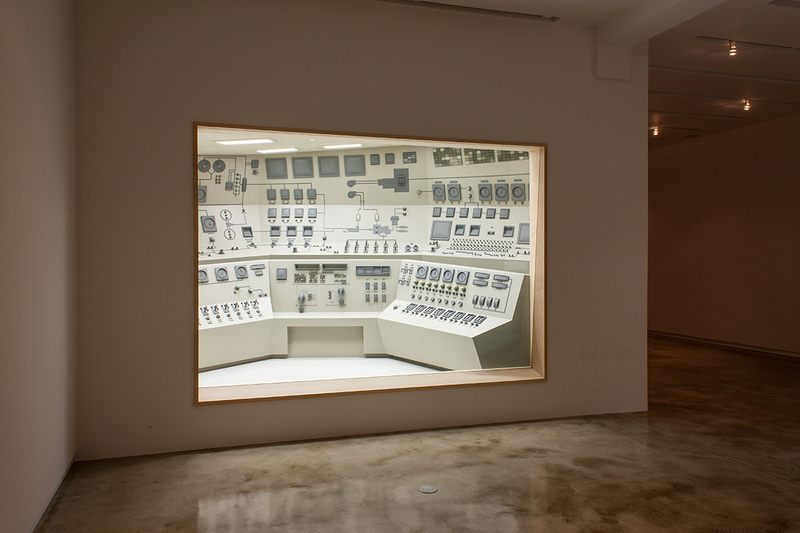 The Architecture Lobby, Inc. is an organization of architectural workers advocating for the value of architecture in the general public and for architectural work within the discipline. It believes that the work architects do—aesthetic, technical, social, organizational, environmental, administrative, fiduciary—needs structural change to be more rewarding and more socially relevant. As long as architecture tolerates abusive practices in the office and the construction site, it cannot insist on its role in and for the public good. Vittorio Lovato is an architectural designer and member of the Architecture Lobby. He is a graduate of the Yale School of Architecture, and in 2014, he was the William Wirt Winchester Fellow, completing research on sustainable business models for alternative architectural and humanitarian practice.